4-H members participated in a Dairy Skillathon at the recent Cheshire Fair. They also worked in the 4-H Food Booth. A popular choice for many Fair Goers and themselves was the always delicious Echo Farm Pudding. The many kids from across the county competed with their project animals- demonstrating their skill and expertise to all who stopped to watch! If you didn't have a chance to go to our County Fair the Cornish Fair is coming right up. I encourage you to stop and have a conversation with the 4-H youth, many represent our farm families and they love to talk about their projects. 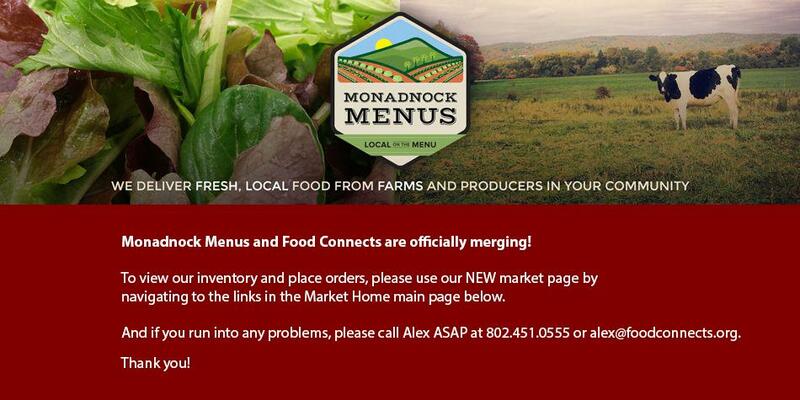 From A to Z Monadnock Menu's Farmers are harvesting a variety of abundant crops! Arugula, Beets, Bok Choy, Cabbage, Corn, Cucumbers, Eggplant, Greens, Kale Tomatoes, Squash to Zucchinni are available through our market. This is such a great time for fresh local produce in the Northeast. Share the harvest from our local farms by purchasing from our online market and encourage your institution or business to PUT LOCAL ON YOUR MENU! What dish uses a great deal of the fresh produce available now? Give RATATOUILLE a try! Peel the eggplants, if desired, and chop them into bite-sized cubes. Transfer them to a strainer set over a bowl and toss with a tablespoon of salt. Let the eggplant sit while you prepare the rest of the ingredients. Chop the onions, peppers, zucchinis, and tomatoes into bite-sized pieces. Mince the garlic. The vegetables will be cooked in batches, so keep each one in a separate bowl. Warm a teaspoon of olive oil in a large Dutch oven or pot over medium-high heat. Add the onions and a generous pinch of salt. Sauté until the onions have softened and are just beginning to brown, about 10 minutes. Add the peppers and continue cooking until the peppers have also softened. Transfer the onions and peppers to a clean bowl. Warm another teaspoon of olive oil in the pan and sauté the garlic until it is fragrant and just starting to turn golden, about 1 minute. Add the tomatoes, bay leaf, whole sprigs of thyme. As the tomato juices begin to bubble, scrape up the brown glaze on the bottom of the pan. Add all of the vegetables back into the pan and stir until everything is evenly mixed. Bring the stew to a simmer, then turn down the heat to low. Stirring occasionally, simmer for at least 20 minutes or up to 1 1/2 hours. Remove the bay leaf and thyme sprigs. Just before taking the ratatouille off the heat, stir in the basil.